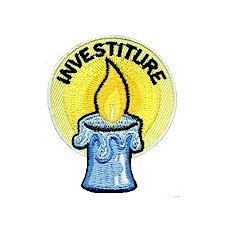 Add the “Investiture” Patch from MakingFriends®.com to the Investiture ceremony. 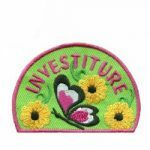 Investiture is the ceremony that marks becoming a Girl Scout* for the first time for both girls and adults. Iron on! Embroidered 2″ patch. 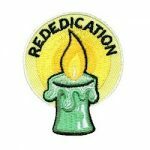 6 reviews for "Investiture Patch"
I thought it would be cheesy, but this patch rocked when i saw it in person! Thanks! Once again, MakingFriends.com has shown their superior customer service. the patches were exactly as described and they were received on time and in perfect condition. I continue to come back again and again for all out troop’s needs! From what I can tell so far this looks like a good product. No one has ironed it on to their vest yet so I don’t know how well it will hold. The customer service was great also. The product arrived a lot earlier than predicted. 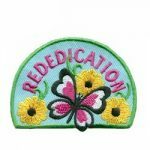 It is a Great Patch, colorful, to the point and indicative of the Investiture Ceremony. And you can’t beat the price.